Photo of the SouthWest single deck bus NFX667, a 1994 Volvo B10M-55 with Alexander PS DP48F body, new in 1994. Original registration L607TDY. 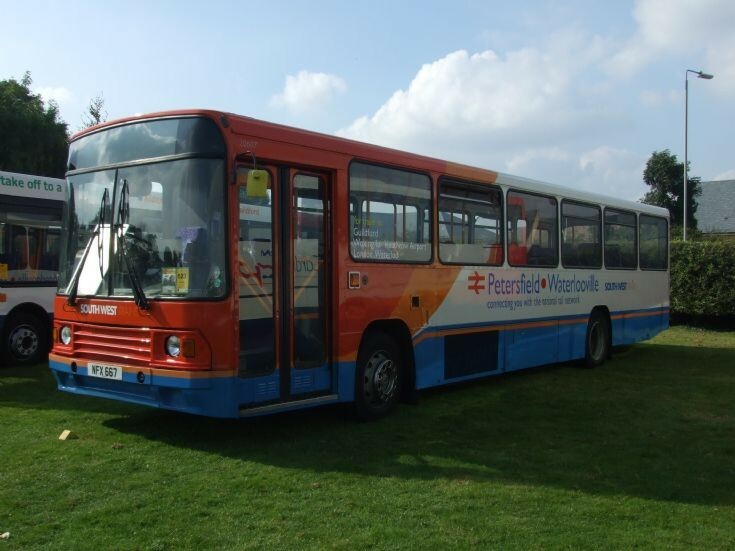 Normally in use between Petersfield and Waterlooville.